Nick is another Central High School alumnus. After high school, he attended the University of Nebraska where he originally studied Architecture. Finding himself drawn to the engineering and construction aspects rather than design, he switched majors and graduated with a Bachelor of Science in Construction Management from the Engineering School at UNL. When he excelled in a class on law for engineers, his professor suggested that he consider law school and ultimately Nick enrolled in the University of Missouri – Kansas City School of Law. Nick was a member of UMKC’s National Trial Team, on the staff of Urban Lawyer Law Journal and a student emissary. 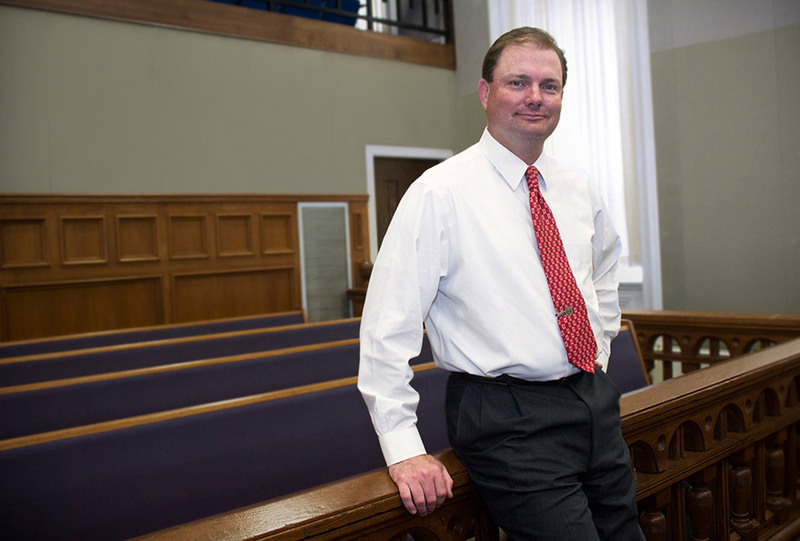 In his third year of law, he worked as a ‘Rule 13’ Assistant Prosecutor in the Clay County, Missouri Prosecuting Attorney’s office. After graduation, he spent two years working with a Kansas City litigation firm before returning home to St. Joseph. Given his education, Nick enjoys construction law and civil litigation. “I tend to approach problems as if I’m solving an equation,” he says. His analytical background serves him well in other areas of the law, too, in particular business and estate planning. He has served on the Board of Directors of the St. Joseph Family YMCA and InterServ and is the past President of the Pony Express Council of the Boy Scouts of America. He currently serves as the Vice-President of Endowment of the Pony Express Council of the Boy Scouts of America, Trustee of the Mount Mora Cemetery Association, Chair of the Morton Fund for the Arts, Trustee of the Calla Varner Scholarship Fund and President of the Central High School Arrowhead Booster Club. He enjoys travelling with his wife and spending time with his three children in their athletic and school activities. When time permits, a round of golf may find its way to the agenda.